Monsta X Release An English Version Of "Shoot Out"
UPDATE: It has arrived! Listen to the English-language version of Monsta X’s “Shoot Out” in full below! 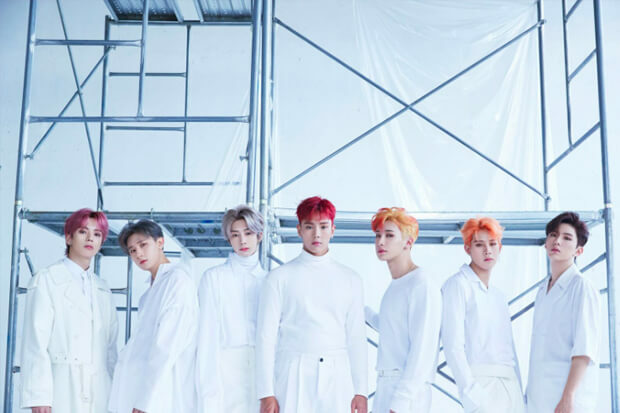 K-Pop supergroup Monsta X is gearing up to take over American radio with an English-language version of “Shoot Out”. The hitmakers made a global splash with the release of their sophomore album, TAKE.1: ARE YOU THERE?, last month. Partnered with a hard-hitting video, they dominated streaming services and left a lasting impression. The LP topped the charts in Korea and premiered within the Top 10 on Billboard’s World Music chart. Meanwhile, the original version of “Shoot Out” is sitting comfortably within the Top 10 on Billboard’s World Digital Song Sales chart. They’ll give the track yet another boost with the reimagined version, which debuts Friday (November 9). Billboard announced the move and teased some of the lyrics to give fans a sense of what the single sounds like. “I’m ready for the savior, because you cut to my heart like a razor. In the darkness, losing my way, giving my breath away,” the septet announces over the fierce production. A toxic romance seems to emerge as the unifying theme. And they further describe the relationship by detailing it as a “love like a shoot out.” The English edition of “Shoot Out” arrives on streaming services Friday morning. However, it will be played for the first time on American radio by JoJo Wright on 102.7 KIIS FM at 9 AM PST. Additionally, Monsta X will perform the anthem for the first time November 30 for their first show on the Jingle Ball. Appearing alongside the likes of Cardi B, Shawn Mendes, Camila Cabello, Dua Lipa and more, they are the first K-Pop group to perform on the tour’s main stage. The group is scheduled to for four more appearances on the tour. Their last set takes place December 5 in Philadelphia. It goes without saying that fans in attendance will be in for a treat. Hopefully, the boys will also have time to record an official video for the English edition of “Shoot Out.” If so, we will all be slayed. While we wait for the new version, reacquaint yourself with the original and its dark visual below! Are you excited to hear the new version of “Shoot Out”? Let us know below, or by hitting us up on Facebook and Twitter!